What is mean't by the term 'GeneFreeze '? 16S Technologies proprietary sampling kit; samples are collected and “frozen” to not affect any samples during transport. The water is collected into 60mm tubes with preservatives which “freeze” the sample, preventing it to transform any further before being tested. What is mean't by the term 'RiboWell'? 16S Technologies’ patent-pending methodology of sequencing and identifying bacteria that outperforms the way others are doing it. What is Microbial Influenced Corrosion (MIC)? Iron is the most abundant metal used for industry. Unfortunately, iron is very susceptible to corrosion, and the oil and gas industry instead largely utilizes carbon steel for its infrastructure. Microbes often form complex structures on the surfaces of metals called biofilms. These are usually mixed microbial communities within an extra-cellular matrix securing them into the surface and protecting them from the environment. 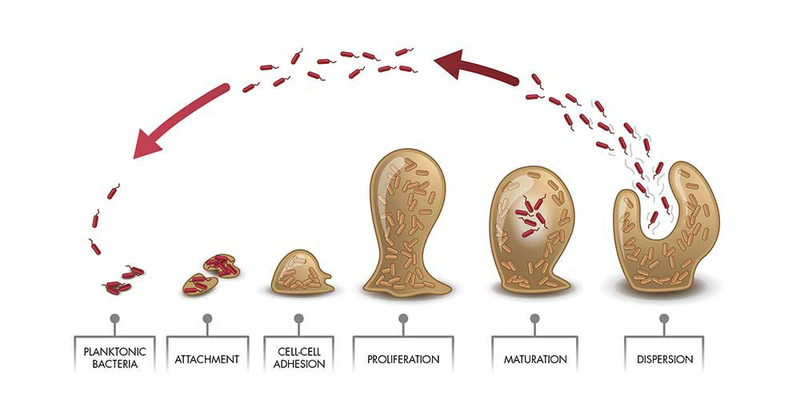 Figure 1 shows a graphical representation of biofilm formation. These mixed microbial communities will often have many different metabolic pathways that can cause corrosion when active. The oil and gas industry actively removes oxygen from the water it handles generating a strict anaerobic environment. 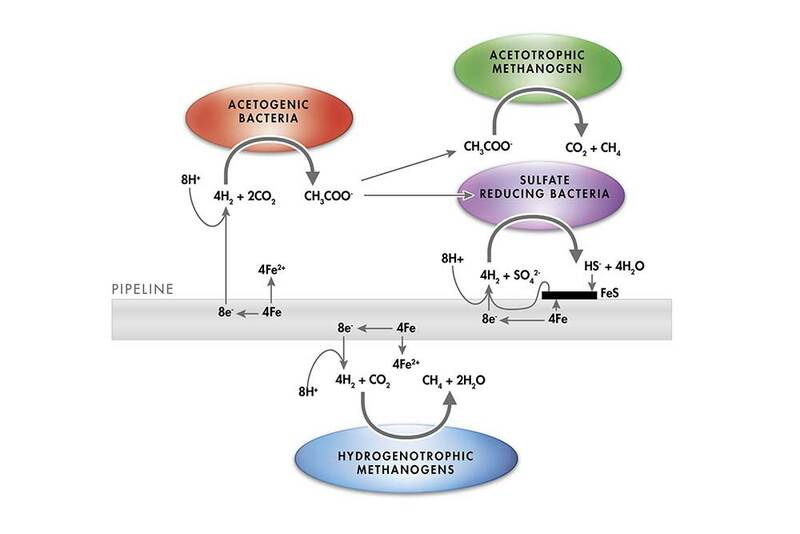 However, metabolic pathways that are potentially highly corrosive in anaerobic environments include sulphate reduction, methanogenesis, acid production and iron reduction. The protection that biofilm structures offer to microbial communities can render biocides ineffective as a biocide might be unable to reach its intended cellular targets. Some systems may therefore require additives – such as cleaning agents – to maximize the efficiency of a biocide. 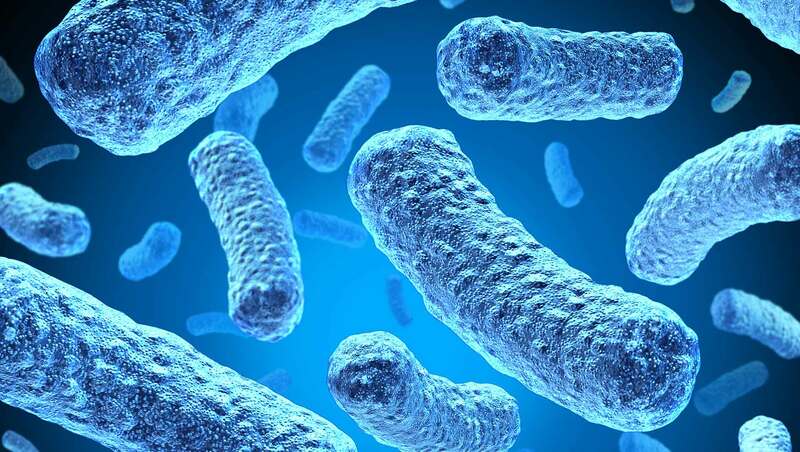 Microbes can also have wildly different susceptibilities to biocides, so selecting a particular biocide to efficiently target key microbial species in your system can greatly reduce OPEX. On metal surfaces, biofilms often create distinctly different microenvironments to the general process flow. These microenvironments can be very corrosive in nature, resulting in greatly accelerated pitting corrosion. Acid producing bacteria can generate low pH environments at metal surface. Sulphate reducing bacteria (SRB) produce hydrogen sulphide, leading to hydrogen embrittlement. These kinds of MIC are known as Chemical Microbial Influenced Corrosion (CMIC). Microbes can cause electron transfer from metal surfaces. This is possible due to the ability of electrons to flow freely from an oxidative (anodic) to a reductive (cathodic) site within a crystalline metallic matrix. In the absence of oxygen, the removal of electrons from the metallic matrix is impeded. This should theoretically result in very slow corrosion rates in the types of anoxic aqueous environments deliberately generated by the oil and gas industry. However, microbes in anoxic environments can nevertheless still actively remove electrons from metal surfaces (Figure 2). These reactions can drive forward a type of corrosion called Electrochemical Microbial Influenced Corrosion (EMIC) at rapid rates. An example of microbial corrosion is presented in Figure 3. This string was pulled (production tubing removed for examination) as a result of pressure loss after only eight months (after completion). The production tubing has suffered pitting corrosion resulting from microbial attack.